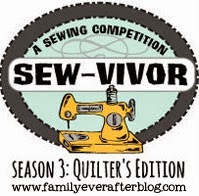 Hello again all and welcome to week two of the fabulously fun Long Time Gone Sew-along! 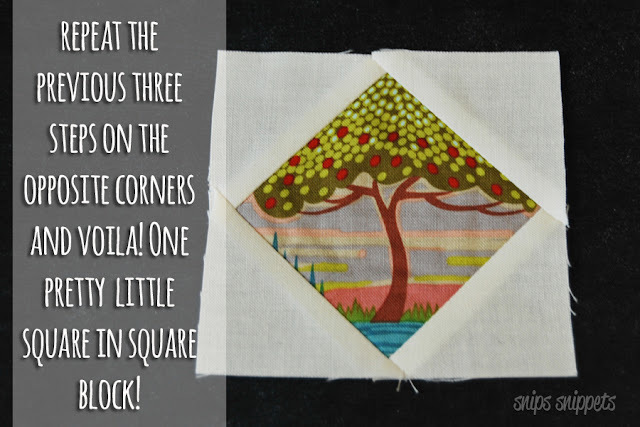 Today we are tackling the Square in a Square Stars block and there is all kinds of room for some great fussy cuts! For all the pieces in this block it is actually quite easy, two basic units are all that are needed to make up this block, flying geese and and square in square blocks. Easy peasy, shall we get started? I have no hard and fast rule for pressing. I generally press my seams in the direction they want to go. 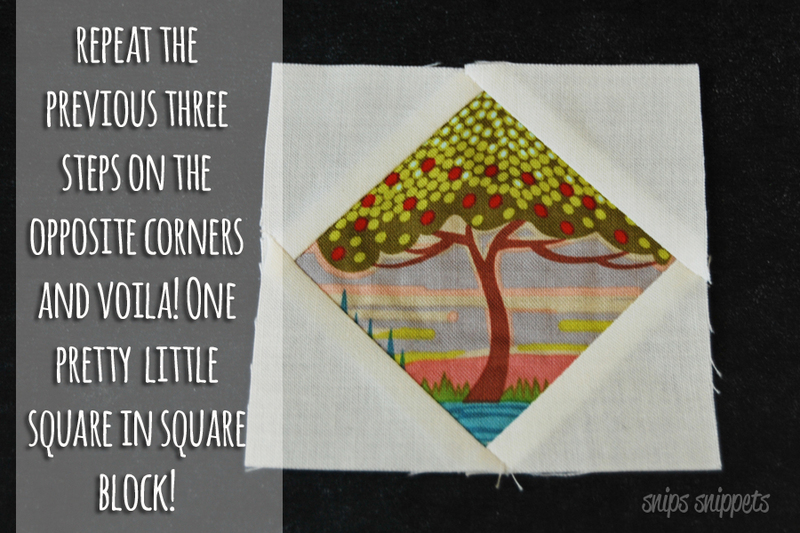 When piecing things like flying geese and square in square blocks I press toward the corner I just stitched on. Because of the bit of bulk this creates, when attaching the units together I will then press my seams open, instead of to the side. I also press my seams open when attaching rows together. But find a way that works for you and be consistent with it. 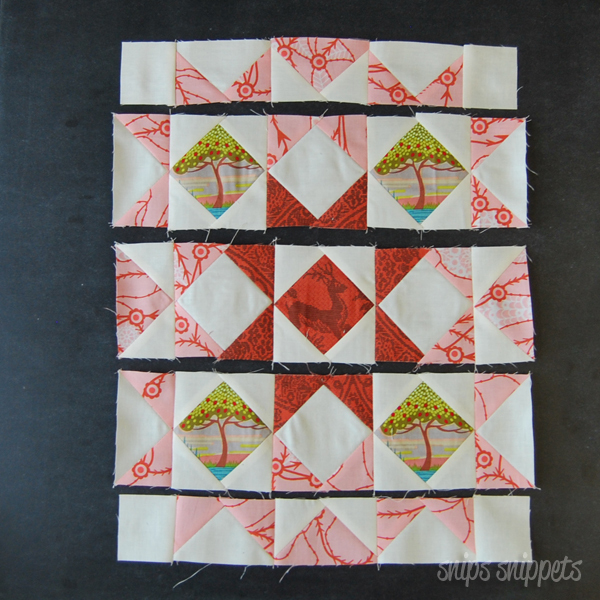 This block was one that I pinned the heck out of, and for those that know me I am not a pinner! I'll include some shots on how I pin certain areas to help keep my points on point! 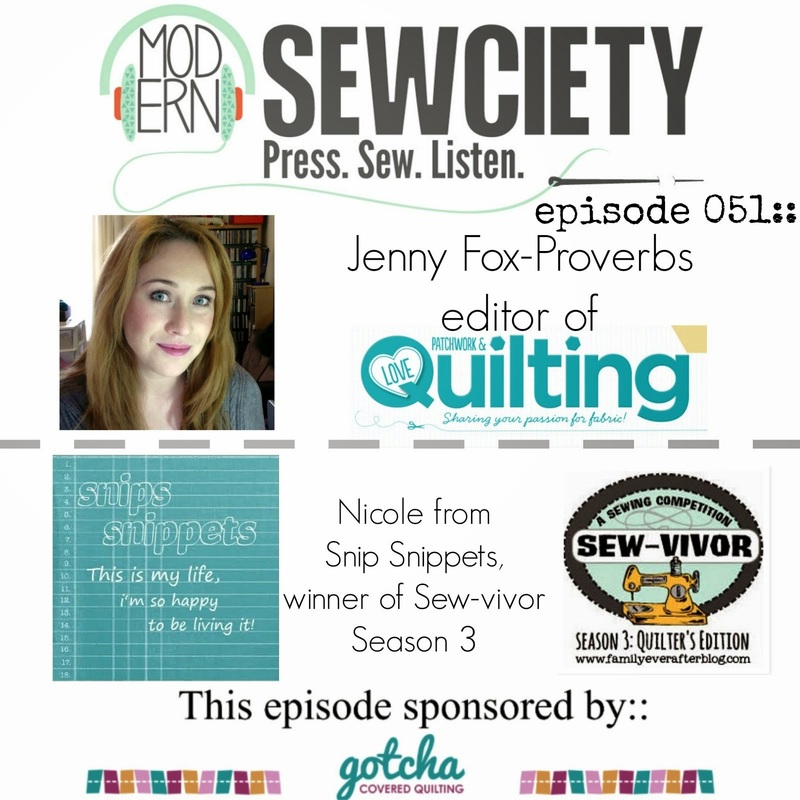 First up, gathering and cutting your fabrics. Cutting instructions for this block can be found on page 5 of your instruction book. I've decided to fussy cut the centers of five of the nine square in square blocks and focus on the center one as my main attraction, so to speak. So with two different units to make I thought we'd start with the square in square blocks! Make nine, five with a focus fabric in the center and four with your background fabric in the center. Next up your flying geese! 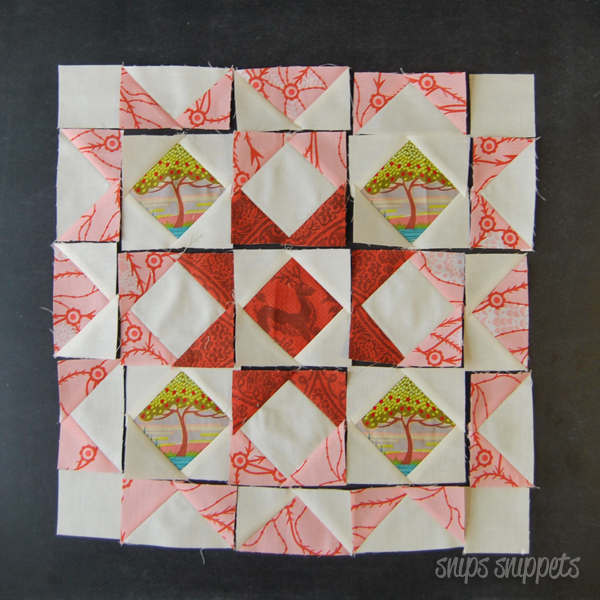 Make twelve flying geese blocks, four with your feature fabric as the rectangle and eight with your background fabric as your rectangle. Next you want to lay out all your square in square units and flying geese units along with the remaining four small squares in the arrangement you want. Snap a picture of it too if you can and take a look at it. Is everything where it should be? I had no idea until I took the picture that the bottom left flying goose unit was place backwards! Save yourself the time with your seam ripper later and get it right first! 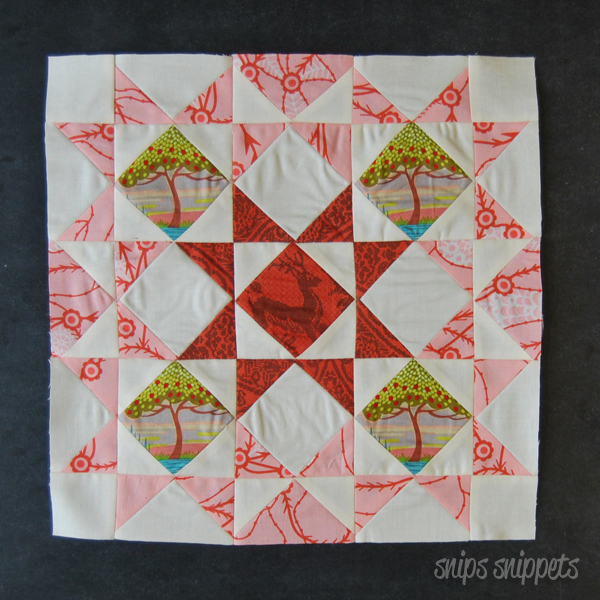 I used the four square in square units with my background fabric to play up the star effect in the center. This is something to think about when you're planning your fabrics. I also made the decision to use my background fabric for the outer corner squares of the block, I think it helps make the stars stand out more. Just all personal preference. Make it the way you want to make it, I can't stress that enough. Once you have your units arranged to you liking sew them all together in rows. Press your seams open here to reduce the bulk from the points of flying geese and square in square blocks. To keep the points lined up I use the floating pin technique as shown below. DO NOT use this pin to hold the units together. With the current pin still in place, insert a new pin to hold the units together. If you try to use the current pin you will more than likely shift the points away from each other. Now all that's left is to sew all your rows together and DONE! So, by now you've noticed that I have two blocks. Don't panic, one is all you need! The one I shot for the tutorial was my original block. It had an unfortunate run in with a half a bottle of Flatter with a faulty lid, a squirrely five year old and an unstable ironing board. In my panic to dry the half bottle of Flatter from my block I pressed it. A lot. And that is why it has all those lovely wrinkles, haha! It's destined to became a pillow now, along with some of my other blocks. Yep. I'll be remaking some, I've changed the colour palette a bit and want to play in a different direction, stronger colours, brighter, vibrant... you get the idea! 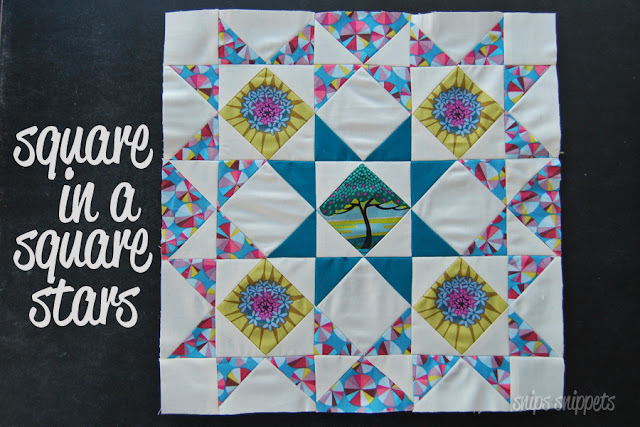 And I think my new block is more the direction I want to be taking this quilt! So that's it my friends! Don't forget to pop over to Angie's by clicking here, to see what magic she has created using her fantastic stash of Alison Glass! We also want to let you know that we've had a number of people contact us about wanting to participate but not being able to make the time frame for the first block, so good news! We've extended the deadline for the first block by one week. Just the first block and only one week! So you now have until midnight March 28th in your timezone to get that first block done, and your Square in a Square Stars block!! Have a great week friends and high fives to all of you for making such amazing Bow Tie blocks last week! Can't wait to see all your Square in a Square Star blocks! Awesome post! Love that we both used the floating pin technique! Can't wait to see more of your blocks you big tease! beautiful blocks and great tutorial! Thank you so much! I have to admit, making two was not what I had planned on doing but I can't deny loving the fussy cutting for them both! Both of your blocks are gorgeous!!! You have a great eye for mixing and matching colors and prints!!!! Wow! Stunning block. Ironically, I have picked two of the same feature fabrics (albeit different colourways) for this block. Thank you! Great minds eh?! Haha! I find I constantly want to redo my blocks. I'll get one finished and then immediately want to make another version! both of your blocks are beautiful! 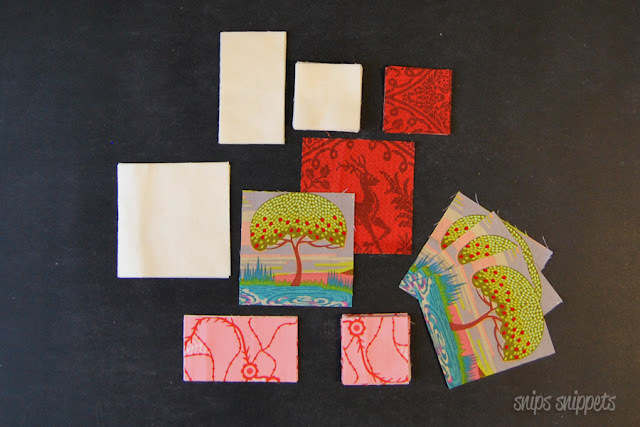 I was considering different fabrics I could use for this block, chose these same by AMH, and decided to google to see if I could figure out if they would work, and came upon yours! I hope you don't mind my "copying" you. I guess good minds think alike? thanks for the pin advice, also.